It seems that not much has changed since the 90s and we are all still obsessed with the magnetic allure of the dancing baby. In another instance of things never changing, the MCG is the year's most checked-in spot two years running demonstrating that sporting fans still love sharing their sporting fandom. Rounding off the big news in all things tech, marketing and social, a U.S man says Google's autocomplete function has lost him his job and ruined his life. He now wants $60 million in compensation. 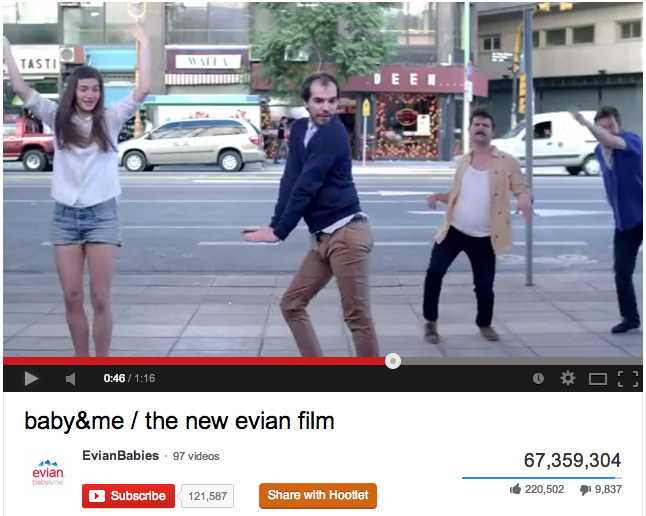 Evian’s “baby & me” ad has been named the most popular YouTube ad of 2013 according to the official YouTube blog. With over 67 million views the ad beat out the beauty giants Dove and tech powerhouse Internet Explorer. 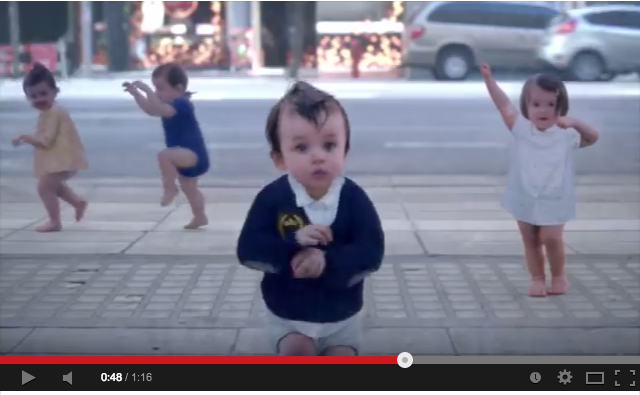 The Evian ad, featuring its now trademark babies in a surreal story of adults catching glimpses of their baby selves and dancing to 90s hit ‘Here Comes the Hotstepper’ specially remixed for Evian by Yuksek, was so popular it’s even made YouTube’s list of trending videos overall for 2013. To continue in the end-of year tradition of lists of top things, Melbourne’s entertainment and sporting centres seem to be popular with Facebook’s check-in set, taking out the four top spots in the list of most checked-in spots in Aus. The MCG was the most checked-in place in Australia for the second year in a row after completing its national duty of housing thousands of football and cricket fans throughout the year. The MCG placed 20th in the most checked-into spaces around the world. Melbourne’s Crown Casino came in second, Rod Laver Arena third and Ethiad Stadium fourth. Sydney took out fifth and sixth with it’s signature attractions Darling Harbour and the Opera House. Star City Casino, ANZ Stadium and Bondi Beach also made the top 10. The MCG’s Facebook page is posted on regularly with a combination of current updates and historical photos of Australia’s great sportsmen along with their key stats. They have over 130,000 likes and regularly include photo albums featuring the punters enjoying the day’s events. Those businesses wanting to make more of their Facebook page would do well to follow the popular page. Before realising the error, Kantor had pressed enter. A small action that Kantor now alleges led to months of persecution by government officials and eventually his termination from his job at the Appian Corporation. Kantor is now suing “a host of government officials, including Attorney General Eric Holder, Director of National Intelligence James Clapper, CIA Director John Brennan, Defense Secretary Chuck Hagel and Secretary of State John Kerry in Federal Court, alleging civil rights violations, disclosure of private information and retaliation,” Court House News reports. Kantor is seeking nearly $60 million in damages. The dangers of autocorrect have never felt so real; there are some less life-shattering instances of the perils of the spelling software here.